Team Sail Like A Girl for the win! Arrived at 12:17 am AK times, 6 days 13 hours, 17 minutes. Congrats! Life pulling them in a million directions, 8 women seek R2AK bid as a breather. 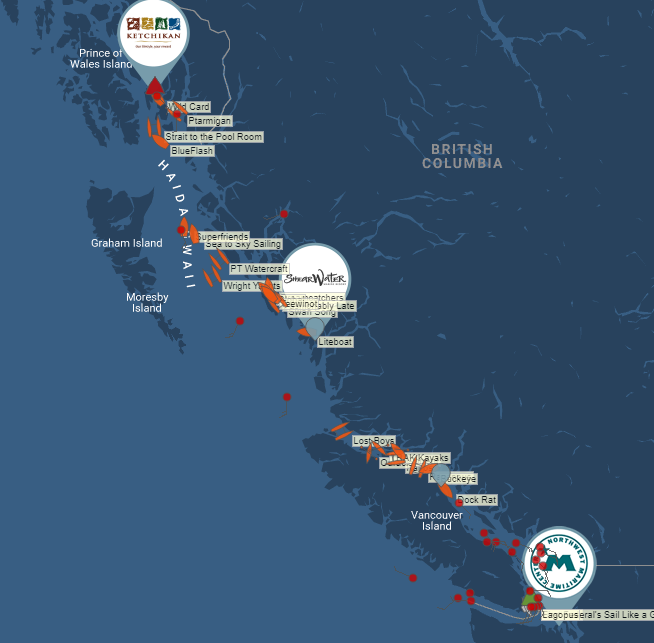 It’s no wonder they are yanking the motor out of a Melges32, grabbing oars and a few pedal drives, and heading for Alaska. No shower, no kitchen, sleeping in shifts… R2AK is a walk in the park compared to their daily lives. This is their chance to be soaked head to toe for days while breathing the salty sea air, free from the duties of cooking, laundry, and errands. 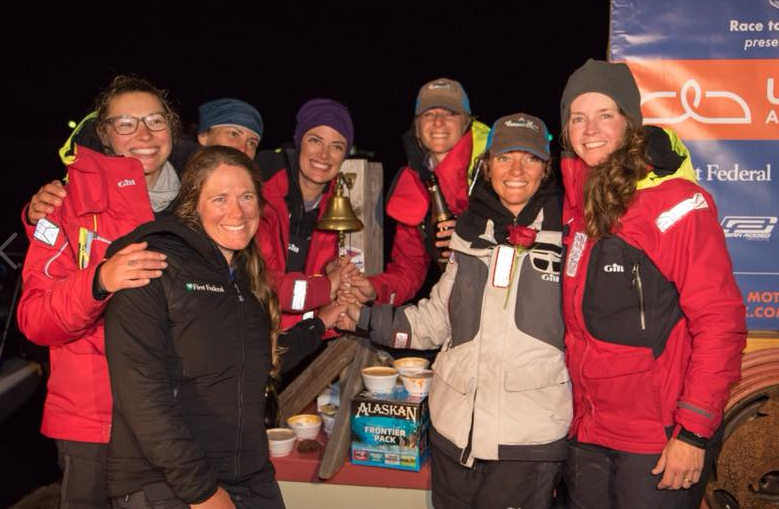 No email, no weeding, no traffic, no ferries—just 750 miles of unpredictable seas, a boat, and 8 women armed with oatmeal, protein powder and power bars.